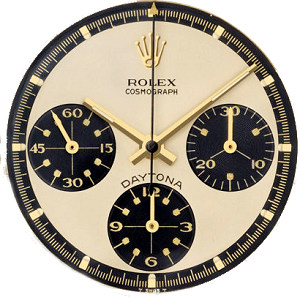 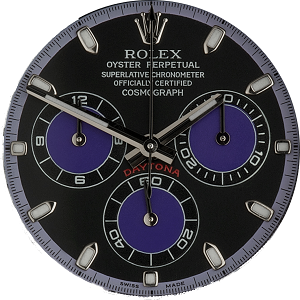 The famous Rolex Daytona has had many faces over almost 60 years. 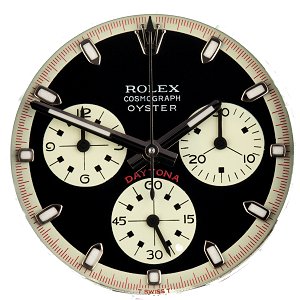 Below are just a few dials that have graced our wrists over time. 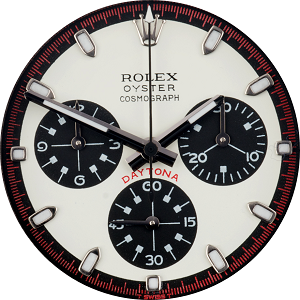 You can give your Daytona a completely new look with these custom modern and vintage style dials made to fit the Daytona 116520 and the Daytona 116500. 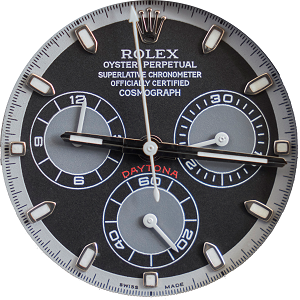 You can buy the dial individually, without hands, straight from our site. 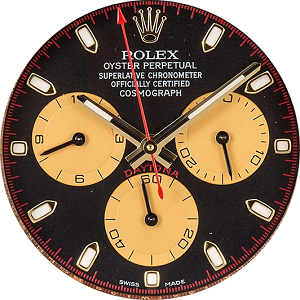 Alternatively, if you would like to have the hands customised for a more complete look, you can send in your watch to us and we can customise your existing hands and dial, fit it all for you and ensure a safe return, nationally or internationally. 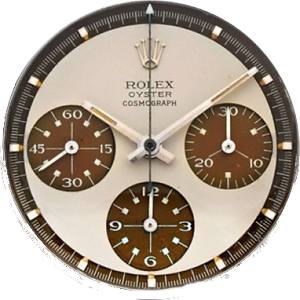 If you would like to create your own bespoke dial for any watch, you just need to contact us with your request, and we can send you a mock-up and a quote.